My Experiment building a Woodgas Stove. 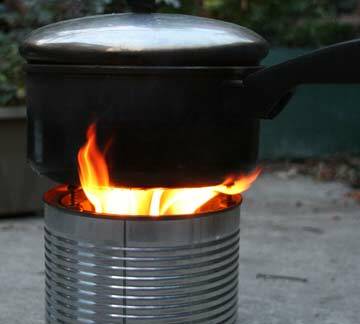 Below is a video I posted of making and testing a woodgas stove using 2 tin cans. I used a larger coffee can and a smaller tall can. It takes about an hour to make and test. A Woodgas stove is an efficient way of cooking with wood. 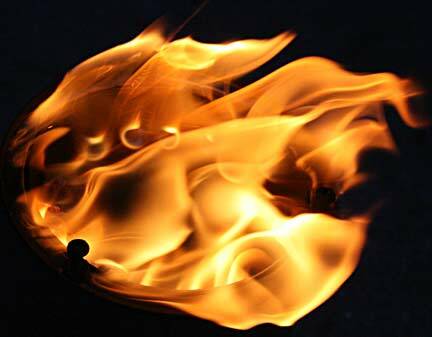 It allows a more controlled and complete burn than an open flame. A small amount of wood goes a long way. 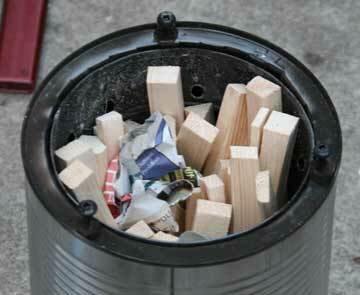 In my experiment I used 250 grams of wood to boil a litre of water in 8 minutes and had flames for a further 12 minutes. I could have boiled another litre of liquid, or boiled what I had for 20 or more minutes. The rough design of this woodgas stove does not allow for brilliant efficiency but it is surprisingly effective and fast. I had little smoke once the wood in the stove had been lit. A small wind block would have improved the burn further. There are a number of commercial units that are more efficient and tidier to use. Solo Stove & Pot 900 Combo: Ultralight Wood Burning Backpacking Cook System. Burns Twigs. Kelly Kettle Stainless Steel Medium Scout Basic Camp Stove Kit. I constructed this can stove using 2 coffee cans. One is a large size close to a gallon paint can. The other is fits comfortably inside the larger can. The cooking pot sits on the screws. I experimented with various heights to get the best burn. Once I hit on the sweet spot the fire immediately burned much better and the jets became stronger. I had to experiment with the size of the holes in the cans. I gradually increased the size till it seemed to give the best burn. After 2 minutes the stove starts to really burn well. Immediately after lighting there is a bit of smoke and sputtering, but after a couple of minutes the reaction is set up and the burn really takes off. The air is sucked in the outer holes at the base of the big can and gets heated in the space between the 2 cans. It then rushes into the burner can through the holes at the top of the smaller burner can in quite strong jets. This nicely heated air boosts combustion quite a lot. It is hard to photograph but further down I have a pretty good picture of the jets. This extra hot air helps burn any remaining wood gas. 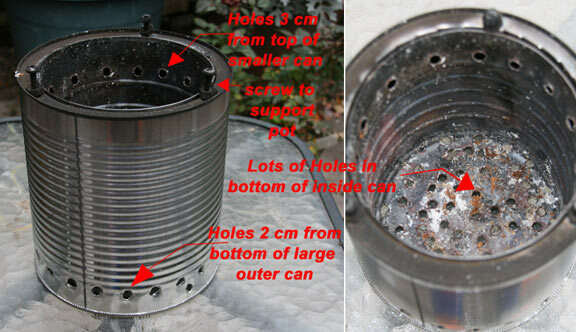 Combustion is sustained by the holes at the bottom of the can and improved by the jets at the top of the can. If I take the pot off for a few seconds, the jets are visible. You can see at the top, round flames where the holes are, and the hot air is rushing in boosting combustion. Lower there are a couple of jets visible blowing from the side of the can towards the centre. The patterns is not stable with the pot removed but start up again once the pot is replaced. Jets visible as round flames on top and jets on the bottom of picture. I have this high tech kettle designed to speed up boiling on a gas stove. It has a hollow ring open towards the inside with holes on the outside. Inside this channel ring there is a springlike wire. The flames are trapped inside the channel and the heat is quickly exchanged to the copper bottom. This kettle boils much faster than a regular pot when heated on a gas flame and would work really well on the Woodgas set up. I'm not going to test it because I'm too lazy to clean it up after! If you are interested in heat exchange pots there is a chinese version available. Here is a combined camping gas burner and pot with heat exchanger. Fire-Maple also sells just pots as well: Fire Maple Outdoor Heat Exchanger Pot Camping Pot Outdoor Kettle 1L FMC-XK6 which would be good for the woodgas stove. Youtube has many videos about woodgas stoves. Do a search. This web site reflects my personal ideas and doesn't represent anyone else's point of view. Back packers and people with limited space such as boat camping choose minimalist gear. Combination cook stove and cooking pot. Recommended by Backpacker Magazine and others. Nesting design, 1.8 litre so lots of capacity. Solo tent is less than 3 pounds. Katadyn Survivor 35 Desalinator filter, if you ever need to survive at sea and make your own drinking water. 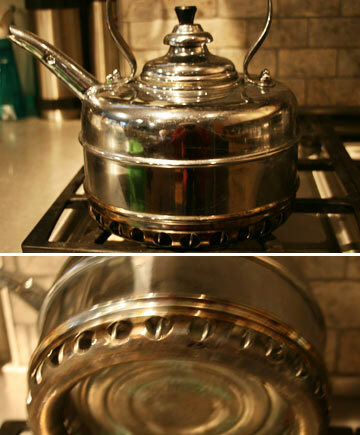 For a higher quality and price, Optimus has a tiny gas stove and Heat Exchange pot. It's fun to know this stuff exists. A bit pricey for me but I would do it if I was planning an extensive offshore trip.